It is sometimes hard to find much of beauty on road verges, even in rural Norfolk. For whatever reason, many wild flowers have declined, to be replaced by relatively uniform stands of Alexanders, Cow Parsley and grasses. 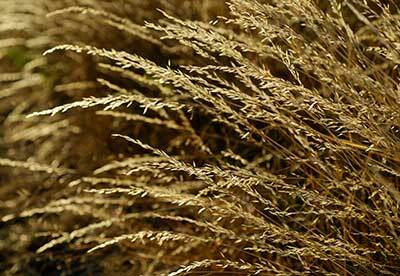 Looking again, however, I noticed how wonderful this lowly False Oat-grass looked when caught by the evening sun. Print £ 55.00 (37 cm x 25.5 cm); mounted print £ 65.00; framed print £ 140.00. Postage & Packing will be charged at cost. Alternatively, prints and block mounts can be collected from our base in North Norfolk.